I decided to write a series of articles on the lesser know places in the world and I gave it the name Hidden World. In this series, I shared with you information about a lesser known tiny Island nation, Niue. Through this article, you come to know about this tiny but very beautiful island situated 2400 KM away from New Zealand. This series also represents my list of top places around the world which I will like to visit if I gets a chance to visit them. 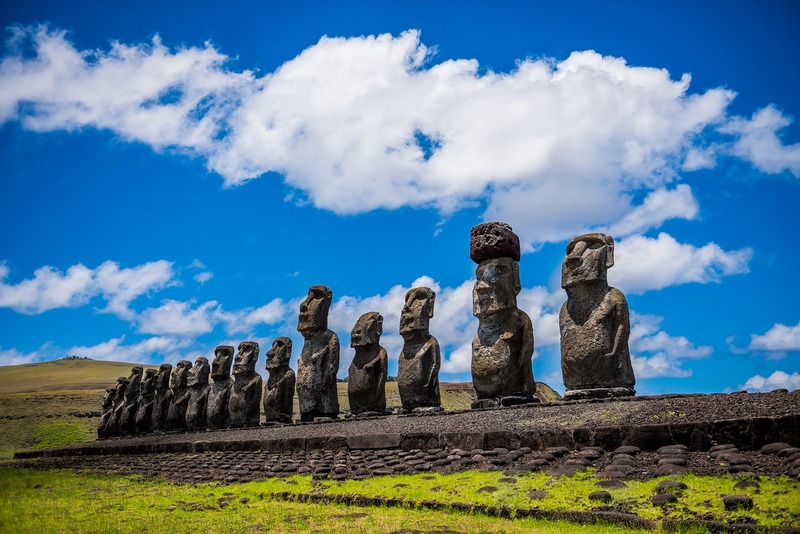 Today, I will share with you second place of this list which is Easter Island, which is a world heritage site declared by UNESCO for its 887 large stone statues known as Moais. Some of these statues are erected in a line while others are lying half-buried in different parts on the island. These stone statues are very unique in nature and we don't find similar statues anywhere around the world. 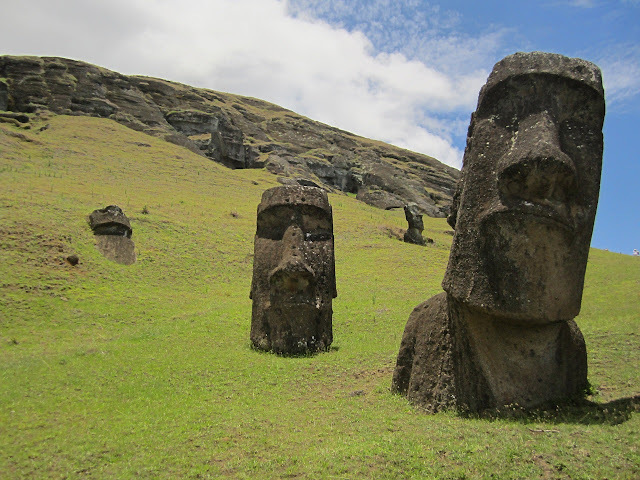 These statues are created from volcanic rocks between 1100 to 1680. Today, some of the stone statues are clearly visible while others are partially visible with heads above the surface with remaining part under the surface. In 2012, excavation started to unearth the hidden part of these statues and archaeologists are able to dig much deeper in the surface to show some surpriseing images of these statues. Because of these wonderful stone statues many people from around the world come here to themselves witness these miracles. Today, Easter Island is part of Chile and it is 3759 KM away from main land. The best way to reach Easter Island is through its only international airport which runs daily direct flights from Chile. Easter Island is a small triangular shaped Island with area of 163.6 square kms. The formation of this island is a result of volcanic eruption and we can find here three extinct volcanoes. This island is a hidden world with many mysteries because for long, this remote island was away from the reach of rest of people from other parts of the world so an unique culture developed in this nation which is still a mystery for us. Today, no one exactly knows why these stones were created and how the natives managed to do all this with limited resources. Though as per the assumptions, these stone statues were created in the memories of formal heads of the clan. 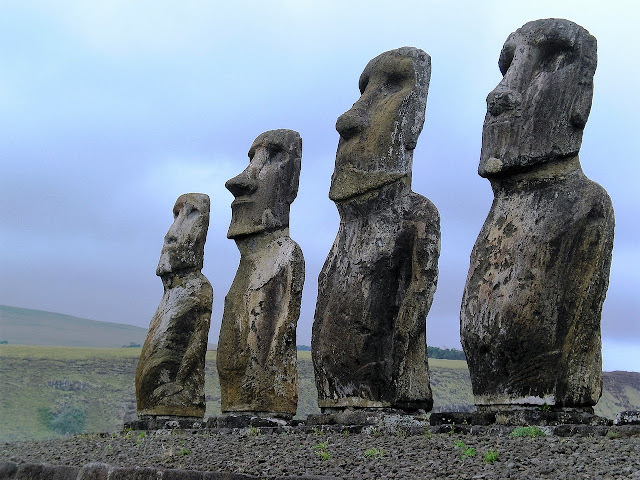 Like others, I do have a dream to visit this island and myself see these large stone statues. I know that Easter Island is situated much far away from where I live but I have faith that one day, I will reach there to myself witness these wonders.